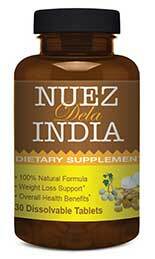 Nuez Dela India is a Dietary Supplement that contains only one ingredients. It’s a nut called nuez de la India, so it’s not hard to see how the product got its name. Just to make matters that little bit more confusing, the Florida-based company that manufactures the tablets is called Nuez Dela India as well. The nuts are sometimes referred to as seeds or almonds. Candlenut is also a popular name and there are many more. In some countries nuez de la India nuts are used as a culinary ingredient. They are also credited with many health boosting benefits, but cutting them to size and then steeping them in water desires patience. The manufacturers of Nuez Dela India dietary supplement have removed the need for all the unnecessary work by ensuring people can get the optimum dose via a soluble tablet. Stevia and pomegranate are included to provide flavour. The other ingredients ensure the tablets keeps things together while dry and dissolve easily when they’re dropped in water. If nuez de la India has the ability to do half the things that are claimed for it, the tablets should support weight loss by helping people to keep their hunger urges under control. 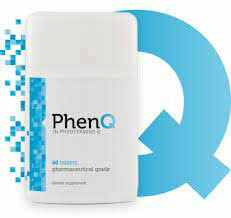 If the tablets provide a detox the metabolism may increase because there will be less toxins to slow it down. This will help the body to burn calories faster. The only problem is there is no scientific evidence to suggest Nuez Dela India can do any of the things it is reputed to be capable off. 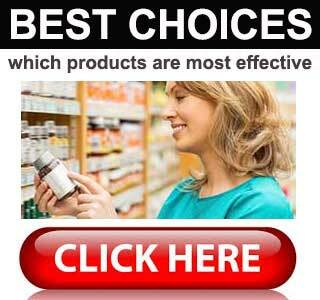 The tablets are taken once each day, just before retiring to bed, and the dose can vary. Days 1-8: Half a tablet should be placed in a glass of water and then consumed after it has fully dissolved. Day 9 Onwards: The dosage is increased to a full tablet. Everything else remains the same. Maintenance Dose: When the required weight is attained the recommended maintenance dose is one tablet, taken three to four times per week. At the time of this review, no tablet reviews were available, but we found several positive testimonials about the nuts. Like kidney beans, nuez de la India nuts should never be eaten raw. Anyone using the nuts will need to remember this, but people supplementing with Nuez Dela India can just toss a tablet into a glass of water, wait for the fizzing to subsided, they will be good to go. As is generally the case though, Nuez Dela India tablets are not recommended for people under 18 years of age. Nor are they suitable for pregnant or nursing mothers. People who have known health issues, and anyone using medication, will need to get a doctor’s approval before they add the tablets to their daily routine. Nuez Dela India dietary supplement carries a price tag of $19.98 per bottle and can only be purchased from the official website. The tablets are not backed by a money back guarantee. Nuez Dela India soluble tablets are certainly a big improvement on the nuts because they are so easy to use, but the problem is there is no proof they will do any of the things they are supposed to do and they are not backed by a money back guarantee. 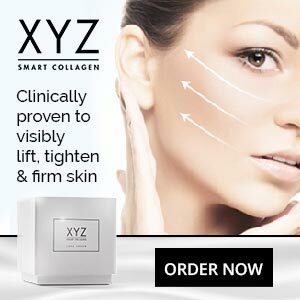 This is a very disappointing state of affairs, but customer feedback suggest the ingredient works, so it seems likely that many people who are struggling to lose weight will be happy to give the tablets a go.